The heart wants what the heart wants. There’s no logical reasoning behind why someone prefers blondes over brunettes, or why someone likes nice looking feet more than good hair. Sometimes these things just happen. There are over seven billion people on Earth and every single one of them pretty much has a different taste in a significant other. And most people know whether or not they are attracted to someone within the first couple of minutes of meeting them, according to Gaiam. Human attraction is weird and at times, it can definitely be confusing. When people think of attraction, they usually think of physical attraction. However, it isn’t always just about looks. That physical attraction is based on instinct, but it doesn’t necessarily lead to that wonderful relationship you’ve been dreaming of. There are other levels of attraction that are also very important for a successful relationship, including emotional and mental. Did you know that your attractions are basically wired right into you? Think about it; your Zodiac sign can read deep into your personality. It pinpoints your strengths and weaknesses. Sometimes your future possibilities can even be determined with your horoscope. So, why shouldn’t it be able to tell you if you like the strong and rugged person or a soft and gentle being? Do you prefer someone you can walk all over, or are you more attracted to a person who puts up a fight? We have those answers for you with the most normal and ridiculous attractions for each Zodiac sign. This Air sign is independent and original. People born under the Aquarius sign are thinkers and usually always using their mind. Without a mental stimulation, they get bored. They are drawn to people who stand out from the crowd. To attract an Aquarius, you have to show you’re not like everyone else. They find quirky and different people fascinating. An Aquarius needs someone who can touch bases with all parts of their personalities, and it takes a special type of person to accept that challenge. A lot of Aquarius people come off as shy or quiet, but on the inside you might find a very eccentric person waiting to be known. 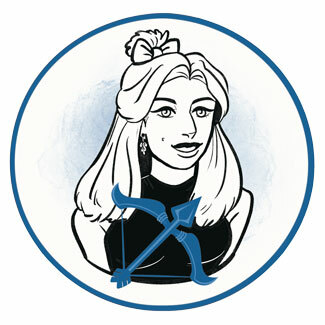 Aquarians are known to be unpredictable and independent people. They often live a lot of their life daydreaming and spending time in their own little world. They look for friends to share intimate details with. A lot of Aquarius romances start out as friendships. So, for whatever reason, Aquarians are attracted to friendship. A lot of great relationships start as friendships. Aquarians look for things that begin on a platonic basis. They find someone they can share their deepest secrets with and start to see them on a different level. It’s rare for an Aquarius to initiate anything serious with a random. Scorpios are a seriously intense Zodiac sign. They are very competitive and assertive in most aspects of their life, including relationships. Getting to know a Scorpio on an intimate level will probably take time. Challenges are something Scorpios are especially drawn to. They don’t want someone who is easy or someone who reveals everything up front. They like a good game, so anyone wanting to attract a Scorpio will have to make it a game worth playing. To keep them interested, you should make them work for your attention. For Scorpios, relationships are all about capturing something and being fascinating. Mysteries are a big turn-on for Scorpios. A lot of their own personality is secretive and private. They don’t like to release a ton of personal information because to them that is relinquishing power, and power is everything. Their secretive nature makes understanding all their attractions difficult. In order to keep them interested, there should always be a little bit of mystery involved. At the same time though, honesty is a key factor to a successful relationship with a Scorpio. For anyone to have a lasting relationship, both partners need to be open and accepting, but Scorpios are fascinated with the mysterious and hard-to-get people of the world. Like the other Earth signs, Virgos are hardworking and practical people. They pay attention to all of life’s details and are very careful with the moves they make in life. Virgos believe their disciplined approach to life leaves little room for errors. These sensible, no-nonsense people need their relationship to reflect their life’s goals. Virgos are most attracted to people who come across as clean-cut and conservative. If you want to get a Virgo’s attention, you should downplay yourself just a tad. A more natural look with warm colors will go a lot further than anything a fashionista would wear. Virgos need things to be in order. They prefer clean and organized living spaces, and they wish for their partners reflect in that same way. They might seem cool and uninterested at first, but just know underneath the hard exterior, Virgos are sensual and emotional people. However, Virgos are used to having all their crazy needs met and are attracted to people who will mirror them. They are drawn to people who give in to their needs every now and then. We know it’s hard for Virgos to see the world any other way, no matter how nonsensical it is to look for someone you can walk all over. Aries people have so much energy and joy in life. They carry themselves with a confidence not easily found. The Rams of the Zodiac have a strong connection with their bodies, and are naturally active, according to Horoscope Compatibility. They love to be out where the action happens. Aries are, therefore, attracted to people who make it a point to stay in shape and maintain a beautiful physique. Due to that social butterfly fluttering within, Aries love being around people. And it really ices their cake when they get to have an outgoing and confident partner standing right beside them. Relationships are all about getting close to someone and connecting with them on a new level. So, the fact that Aries is fascinated by a good relationship chase is pretty silly when you think about it. This fire sign is significantly independent and doesn’t play by anyone else’s rules. They love a good challenge and usually find they enjoy the chase sometimes more than they do the catch. Playing hard to get is one definite way to attract an Aries. This courageous and determined sign needs to know that they have to fight to get the chance to know you. The little fish of the Zodiac is one of the most empathetic and emotional signs. 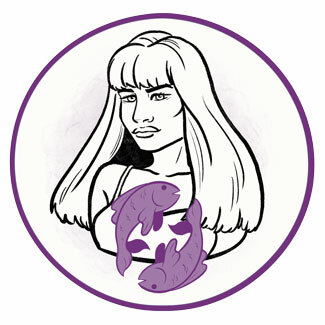 The Pisces nature to be compassionate and intuitive is often reflected in their own musical or artistic talent. They are also true suckers for anyone with some sort of imaginative talent. Whether you’re a musician, poet, or painter, the Pisces is captivated by you and your awesome skills. 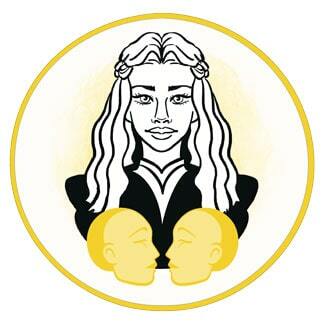 Pisces love learning about what other people can do with their creativity. One sure-fire way to get a Pisces’ attention is by sharing with them some original creation. Pisces live in an enchanted world and any bit of magic is huge for them. This might sound a little strange, but Pisces people are deeply attracted to the colors blue and green. Anything that resembles the ocean or seashells just completely captivates their souls. If you’re trying to choose from wearing warm colors, like reds and oranges, or cool colors, definitely go for the cool side, specifically a nice “seafoam green or pale blue,” according to Horoscope Compatibility. The Pisces is pretty much the most chill sign of the Zodiac. They are soft-spoken and spiritual. Pisces have one of those unique, hard-to-find sensitive souls. Sometimes, it seems like they’re not even of this world. Attracting a Sagittarius is simple, really. They are always moving, and they find someone who shares the same enjoyment in activities to be alluring. Sagittarius definitely do not mess around with lazy, couch potatoes. Like other fire signs, Sagittarius need experiences. They are notably the travelers of the Zodiac. Their curious and energetic nature takes them to places you’ve never been. They need someone who can keep up with them. If you prove you live an active life, too, you will have a stronger chance of winning them over. Sagittarius people are loyal and caring partners, so they’re always worth a shot. You think most people would want to surround themselves with sweet and endearing people, but that’s not always the case for Sagittarius people. They enjoy candidness and find people who are blunt to be attractive. They appreciate people who are frank and direct in their approach. Sagittarius people are known for living by the classic phrase “carpe diem” and don’t have time to waste on people who don’t feel the same way. They are always on the go and do anything to achieve their dreams. They also have an excellent sense of humor, so this extrovert and enthusiastic sign can take any honesty you have to dish out. Taurus people are well-grounded, reliable and practical. They are the doers of the Zodiac. Their bull-headed, steadfast stubbornness helps them complete pretty much any project they commit to. Needless to say, they are oftentimes super successful people. 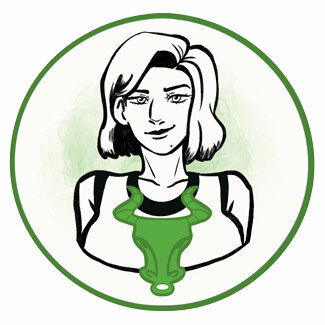 A couple of a Taurus’ main priorities are hard work and security, and they are very attracted to those who share the same core beliefs. Anyone who shows any interest in being successful and achieving financial success at all costs will definitely end up on a Taurus’ radar. They can’t help but long for a stable and safe relationship in their life. It’s true, most people love receiving special gifts from their significant other. Taurus people are no different. However, since financial stability is a huge deal for them, they are kind of attracted to people who can do some serious gift giving. They aren’t too great with catching hints or understanding “suggestive looks,” but a nice present is something they can make sense of. The Taurus sign prefers the finer things in life. They love being comfortable and if that requires luxurious items, then so be it. They usually work hard for what they have in life, so maybe they’re entitled to a ridiculous attraction now and then. Family and tradition is something Capricorns hold high in their priorities. They are definitely one of the more serious and responsible signs of the Zodiac. As a part of the Earth signs, Capricorns are naturally practical beings. They have so much self-control, it’s crazy. However, they’ve been known to lose just a little control when it comes to traditional and conservative people. Capricorns are enthralled with those who show conservative beliefs. Once you understand a Capricorn’s priorities and get on the same page, it’s going to be a relationship for the ages. Capricorns are very loyal to people who capture their hearts. Since Capricorns are so grounded and reliable, they find they are attracted to people they can control. They long for a sense of stability, so anything they can do to keep their life the way they want is seen as beneficial. Capricorns want to be the ones who make the relationship’s rule. They are the ones who take charge. Capricorns are always on the hunt for people who see life the same way as them. However, they typically end up with those who are more in tune with their emotions than their logic. That need for control will become even stronger when they see their partner falling out of line. Leos are dramatic and self-centered. They can be arrogant and inflexible. But Leos are also warm-hearted, passionate and generous. 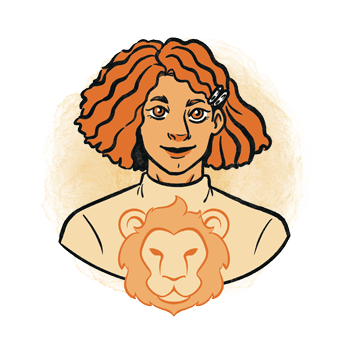 A lot of the times Leos use their charismatic powers for good. When they find a person who shows an interest in giving and charity, they are instantly attracted. A lot of Leos are fervent humanitarians and therefore, they enjoy being around people who are also generous. One way to connect with a Leo is by engaging in a deep conversation about favorite charities and what you do to give back to others. This fire sign is driven by their intense passion and drive to change the world. Leos want someone who appreciates their individuality for what it is. Someone who treats them like the king or queen they think they are is someone they will find very attractive. Paying an insane amount of attention to you Leo will get you where you want to be. Lions are the kings of the jungle, so it makes sense that the Lions of the Zodiac would want to be treated as such. Leos love compliments and are drawn to people who aim to please. It’s true, Leos are a very egotistical sign, and this desire to be treated like royalty is all about the self-respect they feel for themselves. Libras are a peaceful group of people. They look for balance in their life and love some good equality. A major attraction for Libras is someone who is optimistic. As someone who tries to avoid conflicts, Libras look for someone who isn’t supers serious and negative about life. They want someone who can keep things fun and upbeat. They want someone who can help maintain the peace and harmony within their life, not someone to point out all the ways things can go wrong. This is a sign that hates being alone, but being with someone who disturbs the peace could be just as bad. It’s one thing when you and your partner share your day with one another. It’s a whole different situation when you expect them to share every single detail about every little thing they did when they weren’t with you. But that’s primarily what a Libra is attracted to. The Libra wants to discuss everything with their partner. They like a good listener and someone who has no problem engaging in conversations at all times. Of course, this may have more to do with the fact that Libras like talking about themselves. Nonetheless, they need someone who can keep them interested and what better way to do it than to share everything. Geminis are free-spirited and social. People typically associate Geminis with having dual personalities, so it could be hard figuring out which side you’re dealing with on any given basis. However, they are always down for a good time. These versatile people are attracted to spontaneity and need someone open to change. They are up for anything at any time and are drawn to people who feel the same way about life. To become an important part of a Gemini’s life, you’ve got to be open to fun and stimulating adventures. There’s rarely a dull moment when you spend it with this energetic and ever-changing air sign. Geminis are attracted to nice hands. Yep, hands. They like good-looking hands, soft hands, and hands that can do good things. They want someone who is good with their hands and who is into something crafty or musical. A well-groomed hand is sure to get a Gemini’s attention in the same way a nice composition or painting would. Geminis are typically good-natured people, so there’s probably some deeper connection to why they love appealing hands. Hands are often the first step to a closer connection. You shake hands when you meet someone, you hold hands when you first start dating and you put a ring on a hand when you make the biggest relationship commitment. A Cancer is both tenacious and pessimistic, imaginative and suspicious. People who fall under this water sign are some of the most challenging people to get to know. Since Cancer is a highly emotional sign, feelings are a huge part of relationships for the crab. Typically, the Cancer person will do nearly whatever it takes to never be alone and they really enjoy being appreciated. A huge attraction for Cancerians is some great food. They are completely drawn to people who have good taste in what to cook or where to eat. A tasty meal could easily win them over. The Cancer sign knows initiative is important in life. But their suspicious, insecure and pessimistic attitudes often lead them to wait until they feel it’s alright to make the first move in a relationship. Which will sometimes end up being too late and result in a missed opportunity. Therefore, what a Cancer sign is really attracted to is someone who is willing to make the first move. However, they still need to feel it was their initial idea. We did warn you, Cancer signs are complicated. This ridiculous attraction contradicts a lot of their core qualities. They want you to be open and wear your heart on your sleeve but don’t expect the same from them right away.